The festive season is fast approaching but before we get to Christmas, New Year's Eve and Chinese New Year, American Thanksgiving falls on November 23. Some of the best restaurants in Hong Kong are serving up authentic dinners, as well as unique twists on the classics. 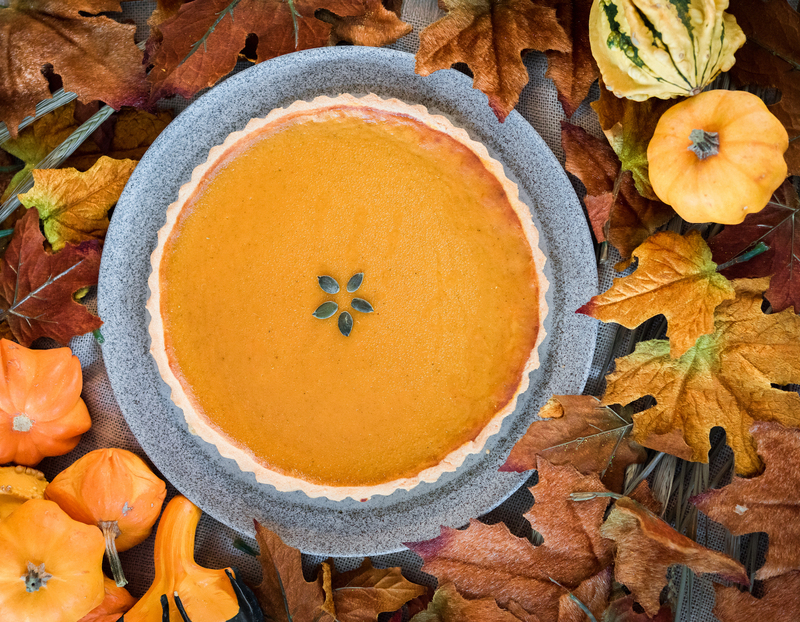 We pick the best feasts in town to feed on top turkey and perfect pies. 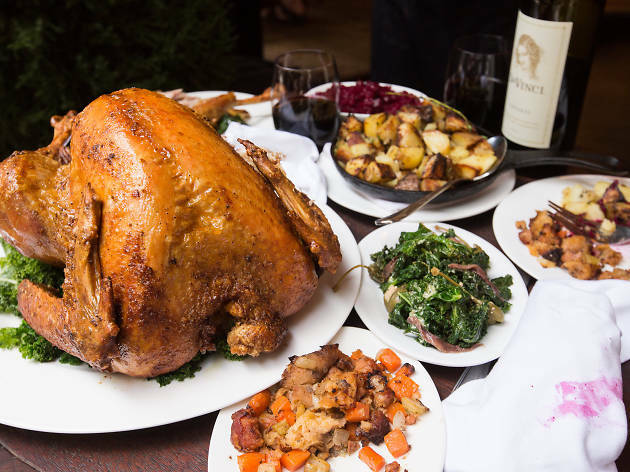 The Hollywood Road meat specialists are joining the Thanksgiving game with a massive turkey dinner. 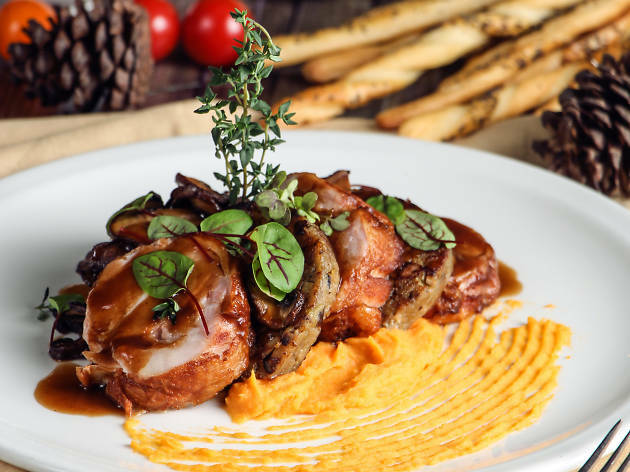 The menu is presented as a sharer for a table of four to six people with the centerpiece being a free-range Hunter Valley turkey, flown in all the way from the UK and semi-deboned for your pleasure. 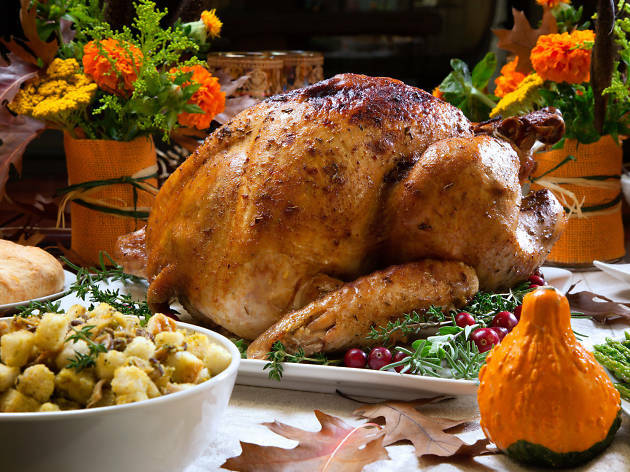 The bird is crammed with Blue’s homemade sausage and apple stuffing and served with sumptuous sides including creamed corn with salsa verde, and maple roasted pumpkin with green lentils and yoghurt. And not forgetting, of course, cranberry sauce and gravy. If all that isn’t enough for you, dessert comes in the form of a maple, chocolate and pecan tart. Here’s the real sweetener: book between 13th-17th November to enjoy an early bird discount of 20 percent. 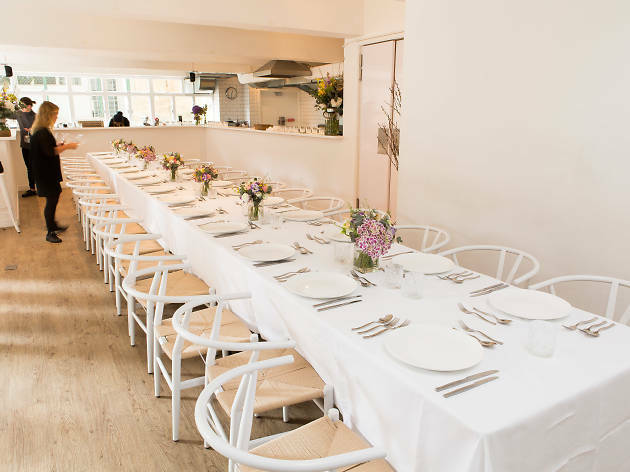 A similar menu is also available at Blue’s sister restaurant Limewood. All turkeys must be ordered at least 24 hours in advance. Price: $1,880 for four to six people. Wine pairing: $850-$950 extra. 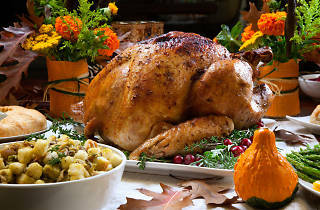 What: With a choice of two or three-course menus, you can make this a light or an indulgent Thanksgiving. For starters, choose between a pumpkin soup or salmon and avocado salad. 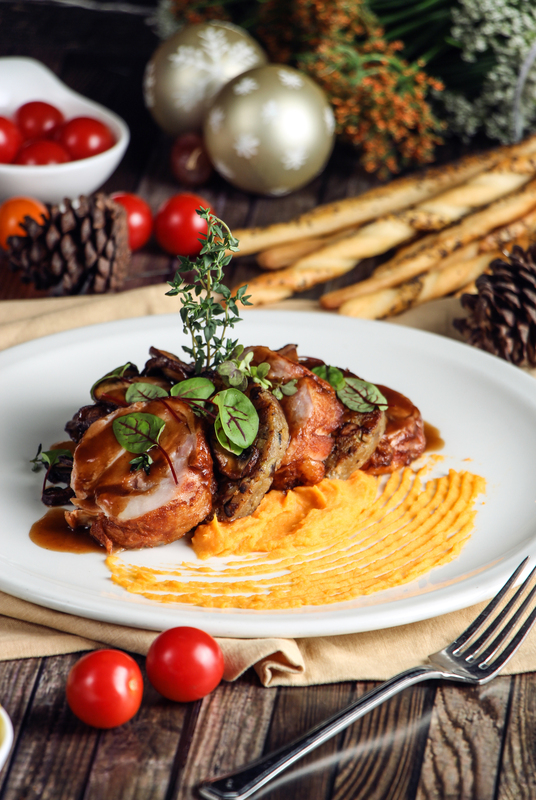 With mains, choices feature turkey roulade with foie gras and mushroom stuffing, sweet potato puree and caramelised mushrooms or beef rossini with foie gras, potato gratin and veg. Dessert is a choice of bread and butter pudding or chocolate and macadamia brulee. Mulled wine is a bargain too at $70, so treat yo’self! 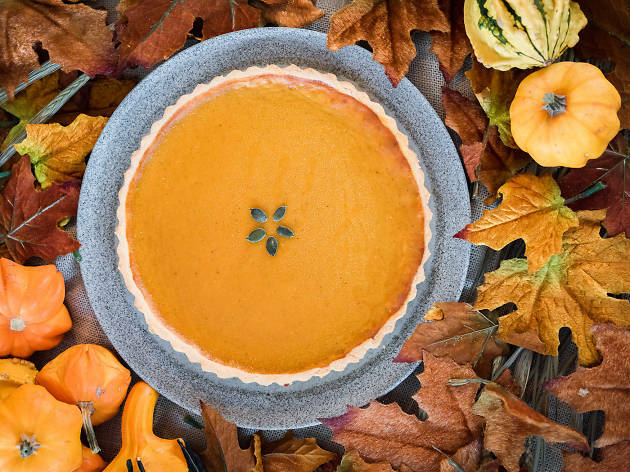 What: As in tradition for the diner, Burger Circus is serving its spot-on nine-inch pumpkin pie. 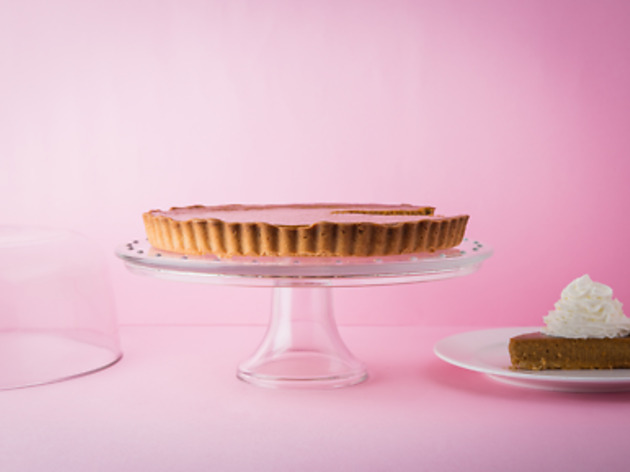 Indulge a slice topped with whipped cream or order the pie whole to take home. If you prefer your pies liquidated, the pumpkin spice milkshake ($78) is a creamy creation made with house-churned ice cream and pumpkin pie. 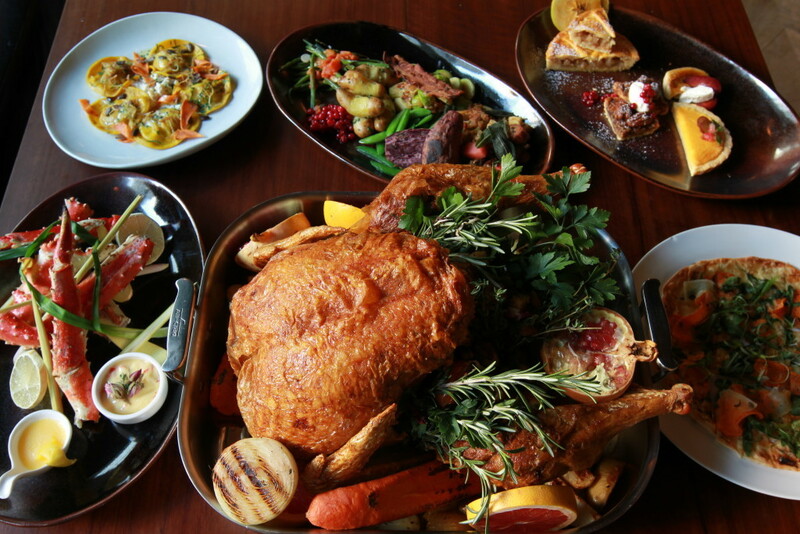 What: Take sharing quite literally by diving into Commissary’s Thanksgiving buffet packed with roasted meats, sides and sweets. 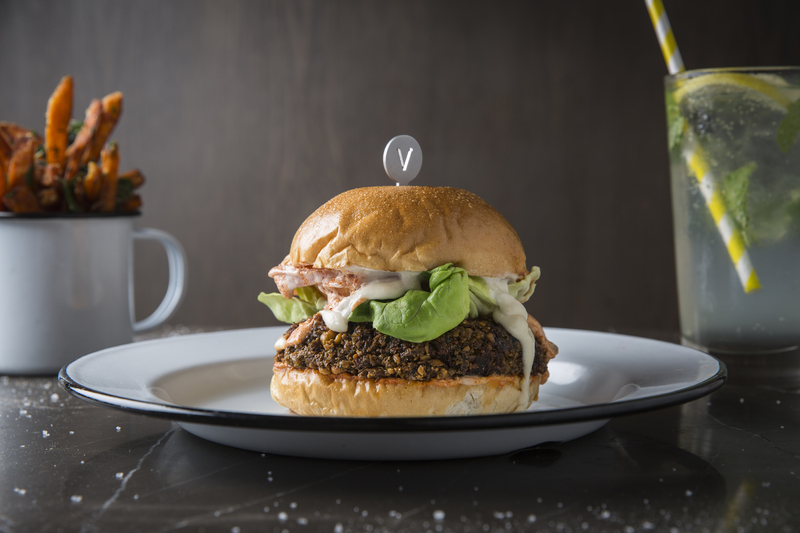 Choose either roast turkey served with cranberry sauce, slow roast pork shoulder with duck fat potatoes or smoked brisket with chipotle mayo – or just go nuts and have all three. Add sides such as mac and cheese, cornbread, buttermilk biscuits and chicken and waffles. Veggies fear not, for there’s a DIY Cobb salad, roast pumpkin and glazed carrots with yoghurt and honey. Desserts aren’t just the traditional pumpkin or pecan pie – there’s key lime pie, croissant and brown butter pudding and triple chocolate fudge brownies. What: Launched last year in London and after a successful launch in Hong Kong last month, Cook For Syria strives to raise awareness of the humanitarian crisis in Syria. 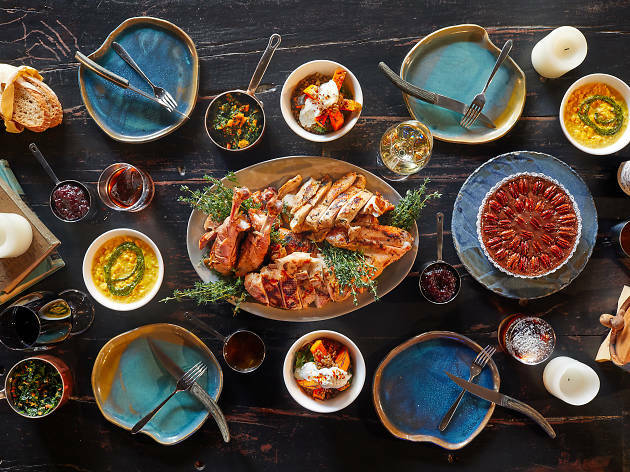 This Thanksgiving edition sees a feast by Maria Bizri served at Pomegranate Kitchen to raise funds for the children of Syria affected by the ongoing crisis. 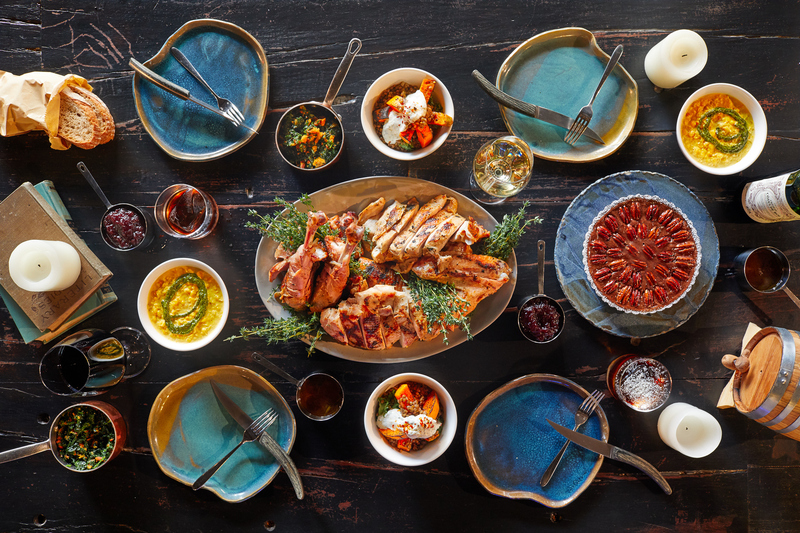 This banquet features delectable dishes from Damascus and Aleppo, to be washed down with free-flow prosecco, red and white wine and beer. What: LKF hotspot Employees Only isn’t just a cocktail bar. They also serve up some mean eats until the wee hours and Thanksgiving is no exception. 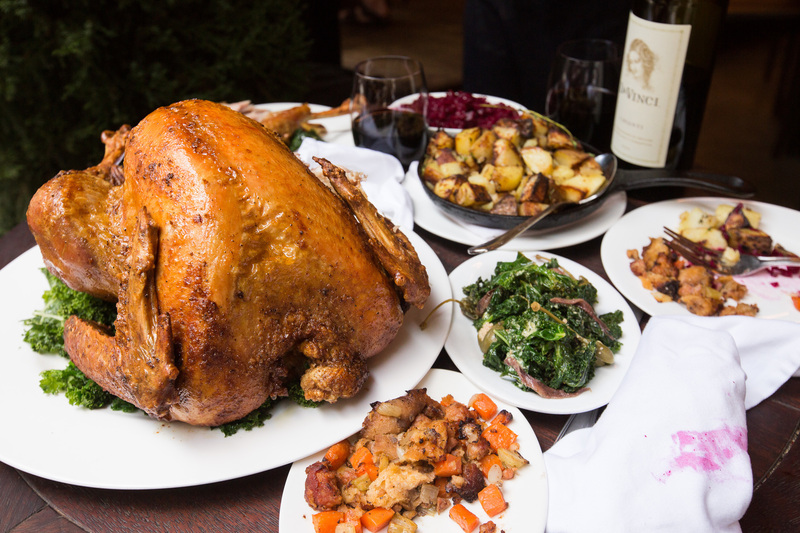 Chow down on a Thanksgiving Plate ($268) of roasted turkey breast, pork sausage stuffing, mashed potatoes, sautéed haricot vert and candied sweet potatoes with cranberry relish and gravy. If there’s room, cram in a pumpkin custard crêpe cake with a honey pumpkin glaze ($108) and wash it down with a Turkey Bird old fashioned of Wild Turkey bourbon stirred with EO honey-allspice syrup and Angostura bitters ($140). If you’re looking for a lighter bite, EO’s leftover Thanksgiving sandwich ($168), with warm roasted turkey, stuffing, cranberry relish, gravy and mayo comes wrapped in a baguette. 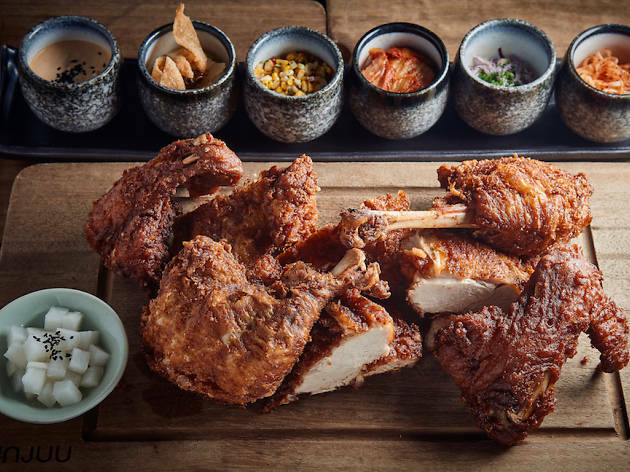 What: Putting its modern Korean twists on the classic American Thanksgiving dinner, Jinjuu’s feast starts with items such as a pumpkin and rice cake soup with great starters and dessert platters, but the main attraction is a whole Korean fried turkey. Cooked in Jinjuu’s special pressure fryer, the bird is juicy with a deliciously crispy skin thanks to the not-so-secret ingredient of vodka. 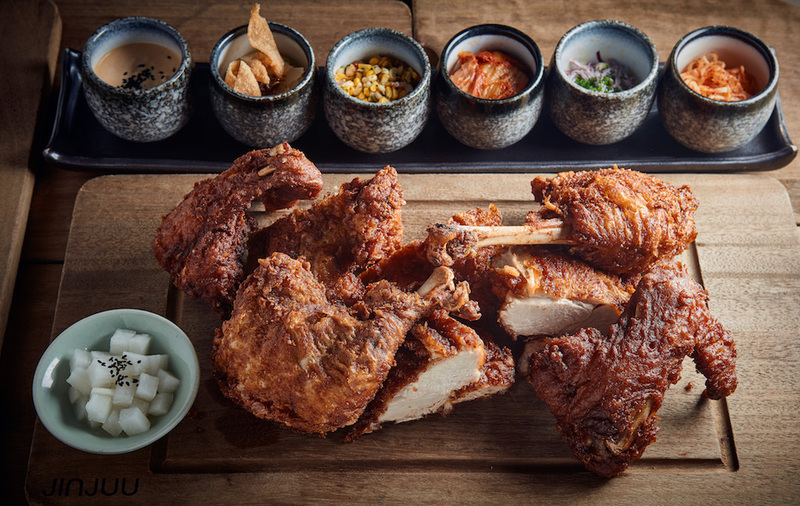 The breast meat is then glazed with doenjang (fermented soybean paste) and roasted, the legs are pressure-fried, and the wings deep-fried. Tuck in sides like potato mash, pickled radish, roasted corn salsa and Korean slaw. Guests may also opt for whole roasted turkey if they so wish. Thanksgiving-themed cocktails such as The Berry Turkey with Wild Turkey bourbon, blueberry cordial, lemon, yuzu citrus and egg white is available for $90 each. 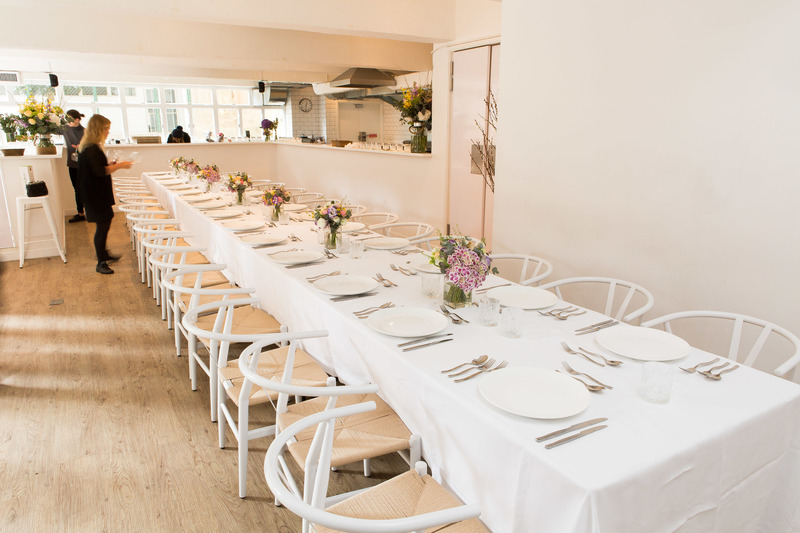 What: This year, Lily & Bloom’s ‘Friendsgiving’ sees head chef and bartender Chris Grare and John Nugent welcome their fellow Americans and guests to chow down on a charity feast. Joining Grae in the kitchen will be Anthony Burd of Mercato, Max Levy of Okra and Chris Tuthill from The American Club. Behind the stick with Nugent will be Happy Paradises’ Chanel Adams and Owen Gibler and Jameel Frith from Employees Only. The special Thanksgiving buffet comes with a complimentary cocktail and it’s a bargain at $300 per person. Better still, a third of the proceeds go towards the Foodlink Foundation and 100 percent of the money raised from raffle tickets is donated. Wet your whistle with Wild Turkey drinks and signature cocktails from each of the guest bartenders at $99 a pop. 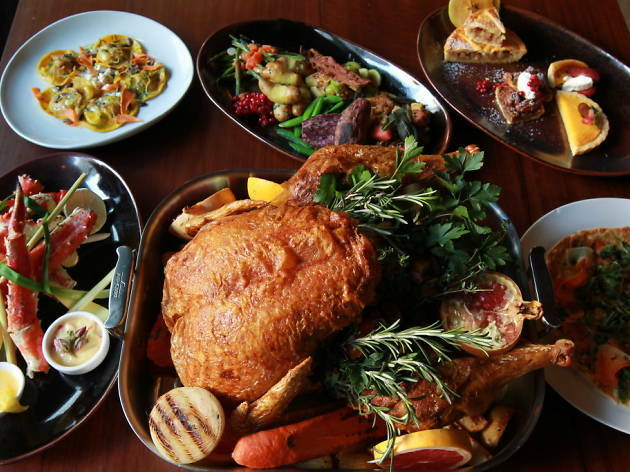 What: Celebrate Thanksgiving Italian American-style at Posto Pubblico. Proceedings begin with antipasti house specials with creamy burrata cheese, followed by Posto’s infamous veal meatballs and a whole, garlic butter-roasted turkey to share with sides of brussels sprouts, potatoes and stuffing. 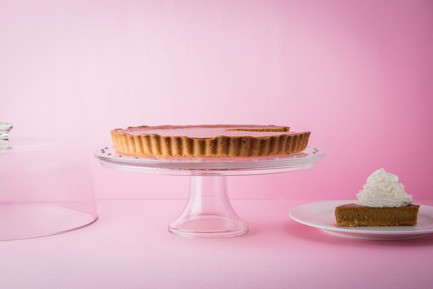 Instead of classic pies, round off this meal with tiramisu and a fig and honey tart. Price: $439 per person +$249 for free flow Henriot champagne, Wild Turkey old fashioned, house red or white wine and Peroni beer. What: The ‘Tavs Thanksgiving celebrations have become legendary thanks to great food and good vibes. 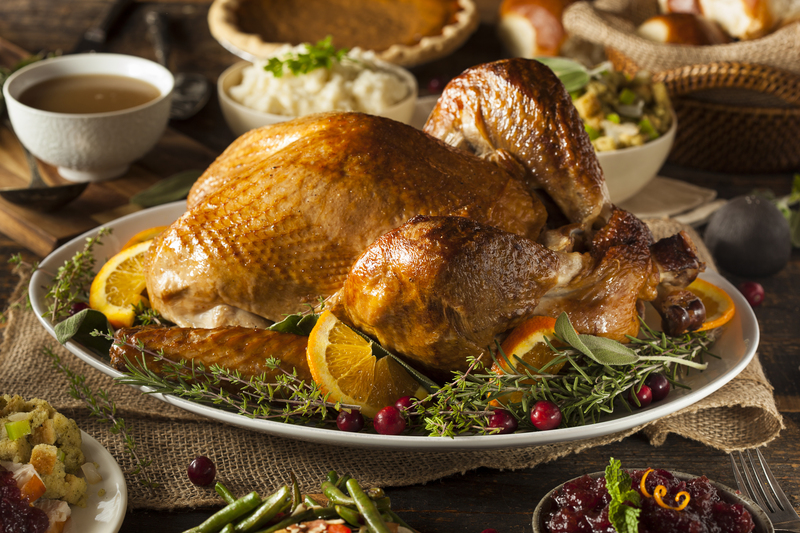 This year, choose from a three-course meal or a turkey dinner for 4-6 people to share. The set dinner features optional seafood platter starter, crumbling cheddar biscuit with chili honey butter, homegrown salad made with organic local vegetables and a big ol’ turkey. Choose to have your bird garlic butter roasted or deep-fried with black pepper and bourbon gravy, and cranberry marmalade. Sides include homemade stuffing, charred brussels sprouts, pulled pork mac’n’cheese, and butter roasted potatoes and sweet treats of skillet-baked American desserts. 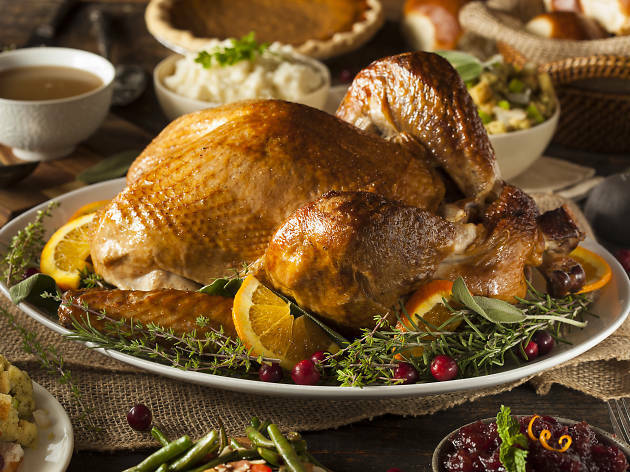 You can also pre-order a turkey dinner that feeds six or more, featuring a whole garlic butter roasted turkey with warm cheddar biscuits, gravy, trimmings and an apple pie. 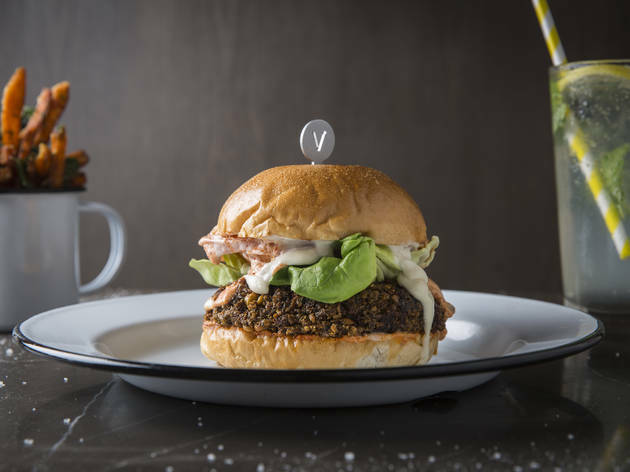 Thanksgiving isn't the most vegetarian-friendly feast, but if you want to celebrate with American fare the green way, then veggie burgers are a pretty solid option!